Desiree Linden, the first U.S. woman to win the Boston Marathon since 1985, breaks down how it felt racing in torrential rain. BOSTON -- After slogging through just a few miles of icy rain and a near-gale headwind that made her feel like she was running in place, Desiree Linden decided she had seen enough of the Boston Marathon for another year. 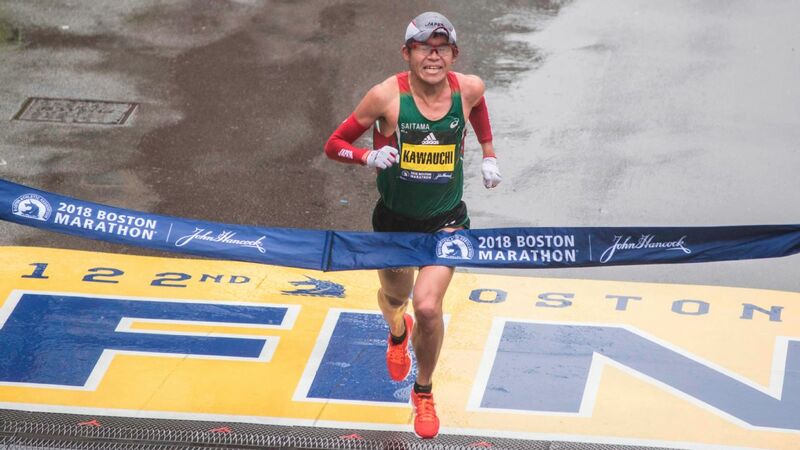 "For me, it's the best conditions possible," said Kawauchi, who competed in 12 marathons last year -- six times the usual number for an elite runner -- and also works as a school administrator. Desiree Linden fought rain and wind to become the first American woman to win Boston Marathon since 1985. On the fifth anniversary of the finish-line explosions that killed three and wounded hundreds more, Linden became the first U.S. woman to win since Lisa Larsen Weidenbach in 1985 -- before the race began offering prize money that lured the top international competitors to town. 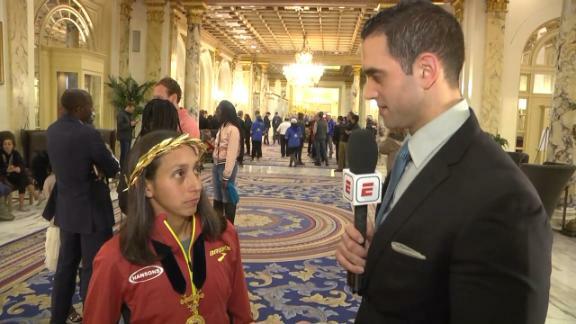 Linden nearly ended the drought in 2011 when she was outkicked down Boylston Street and finished second by 2 seconds. This time she made the turn off of Hereford with a lead of more than a half-mile. "And it turned out I was in third, and I thought, 'Well, I probably shouldn't drop out,'" said Linden, who also earned $150,000. Sellers, who finished 4:10 behind, is a full-time nurse who had to train before or after work -- at 4 a.m. or 7 p.m. She said didn't believe it when she was told she had finished second, or that she earned $75,000. "Yeah, I'm in shock about that,'' she said. It was the second competitive marathon for Sellers, who was a distance runner at Weber State. Canada's Krista Duchene was third, with a total of seven Americans in the women's top 10 and -- for the second straight year -- six in the men's.